We are a major supplier of components for hybrid delivery trucks and passenger buses. Our focus is on providing components for new alternative energy vehicles. 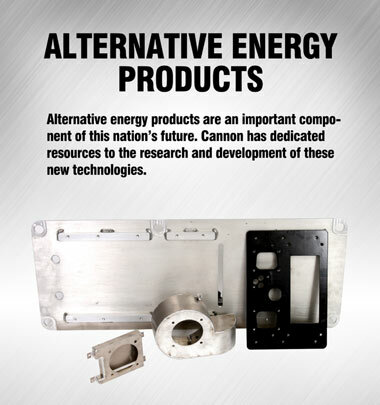 Cannon has dedicated research and development resources to emerging technologies and alternative energy products. Alternative energy is a growing business segment for Cannon and we make more than 20 components for alternative energy vehicles such as hybrid delivery trucks, passenger buses. The majority of these components are made of aluminum, which calls for TIG welding, and are used in various national fleets that represent the new breed of alternative energy vehicles. Cannon manufactures both a two battery and a four battery box for use in these vehicles. Ability to leverage our capabilities in the areas of metal working, stamping, laser cutting, assembly and more into cost effective solutions for this market area.